We are a licensed FFL 1 dealer based in Connecticut, USA. With few exceptions almost all firearms must be shipped from us to our counterpart (FFL) in your area. Exceptions are: True antique as defined by BATF pre-1898; air guns; and black powder muzzle loading firearms. Some states will have additional regulations. You must be familiar with your own states laws. Buyers must contact us prior to discuss payment method and to provide us with a copy of your local FFL who will receive this or any gun for you. Connecticut residents must contact us to understand our in-state transfer policies. If we are buying your firearms or collection and you are unable to safely transport the guns to us, we can make provisions to pick them up. We have considerable experience in shipping your valued purchase and packaging in such a manner to avoid shipping damage. As with any and all of our fine firearms it is the buyers responsibility to understand your own states laws concerning ownership. A 15% restocking fee will be charged if any gun is returned for this reason. 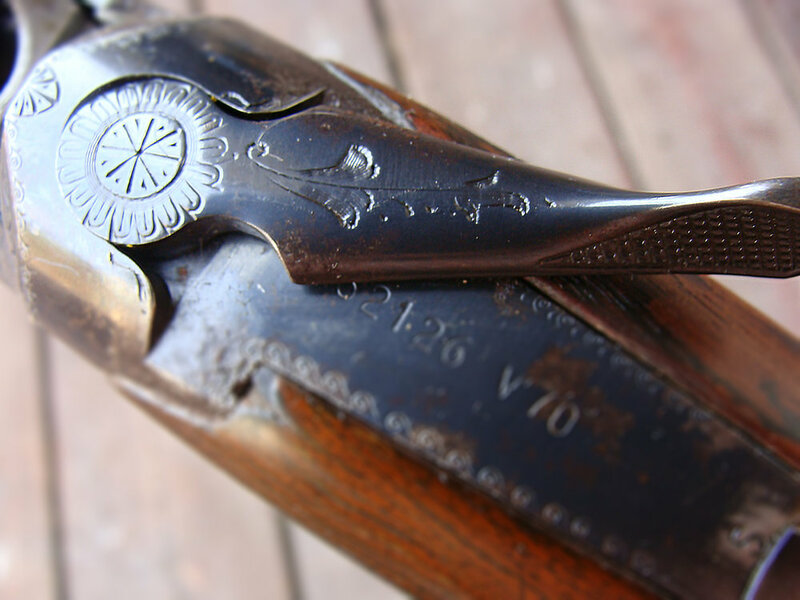 Our firearms business evolved from a lifelong love of quality sporting and collectable firearms. We have been buying, collecting and trading fine sporting firearms since the 1960s. We are sometimes called in as expert witnesses for court cases involving firearms. We pride ourselves in fair dealing and are able to provide many references. We are in daily contact with serious collectors across the country and have an up-to-the-moment understanding of changing values. Most firearms are advertised and sold nationally, exposing them to buyers coast-to-coast, including Hawaii, Alaska and Puerto Rico. This is important because many regions of the country do not have access to the number of guns we have here in the Northeast, where most were at one time made. We deal in quality used rifle scopes and sights which will correctly period-match with some of your older rifles. We typically do not deal in Black Guns (AR/AK types) simply because this is not our expertise. Our focus is on fine sporting shotguns and high quality and collectable rifles and handguns. Inquire about our rates for firearms appraisals for estate or probate purposes. HIGHEST RATES PAID: Our modest overhead generally allows us to pay more for your firearm or collection than traditional brick-and-mortar retailers. If consignment; our decades-long experience enables us to help you get the highest possible fair value for your guns. We buy individual guns and whole or partial collections. We often accept collections on consignment which will almost always bring a seller a significantly greater price than would be realized from an outright purchase. Funds may be USPS money order, bank checks (personal checks with prior understanding), or any major credit card. Inquire about use of credit cards. Please contact us to arrange payment.